I've been traveling in the Urumbamba valley in Peru for the last week and been remiss in updating my blog. 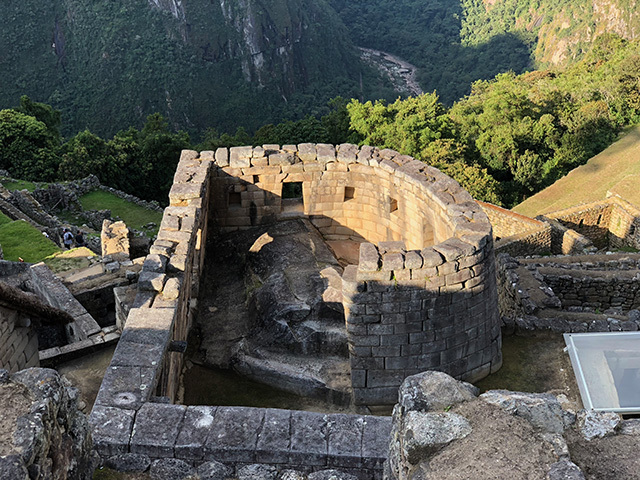 The spectacular mountain top city of Machu Picchu with its astronomical observatories were a highlight. 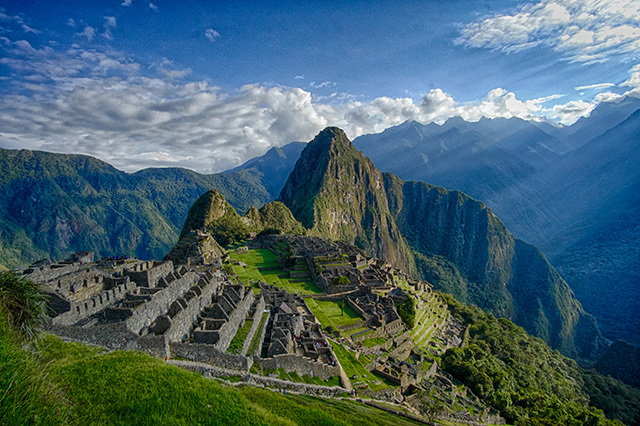 Machu Picchu is simply spectacular, especially at sunrise as seen in my HDR image blow. The semi-circular Temple of the Sun served as a solar observatory and also included an alter. Windows were aligned with the solstice. 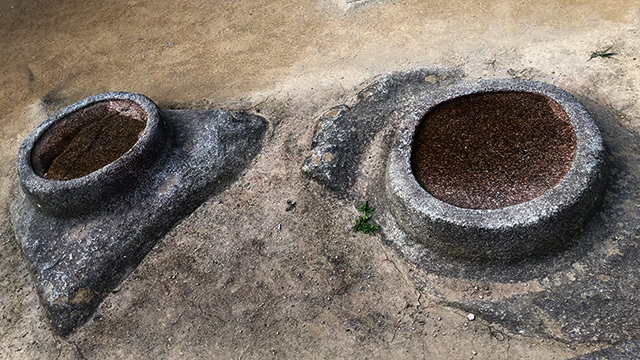 These bowl shaped cavities were once believed to have been used for grinding, but have the wrong shape for that purpose. They are now believed to have been filled with water to be used as perfectly horizontal reflecting mirrors for astronomical purposes. Intihuatana is Quechua for "Hitching post of the Sun". 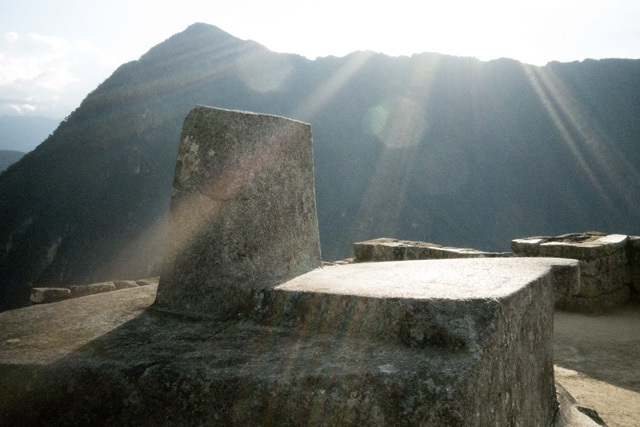 The four sides of this stone caving, at a high point in Machu Picchu, align with the cardinal directions.